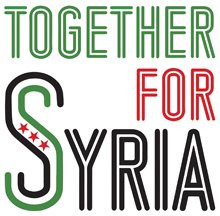 The Syria Solidarity Movement UK was formed to give solidarity to the people of Syria in their struggle for a democratic and free Syria. Our membership is made up of Syrians, and friends of Syrians. Our positions are led by the needs and demands of Syrians suffering brutally at the hands of a criminal regime. 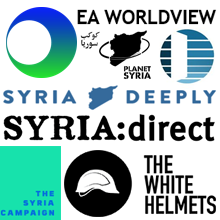 This statement lists three claimed lies about their 2nd November meeting: that Stop the War’s Andrew Murray had called for support for the Assad government to fight ISIS, that Syrians were prevented from speaking at the meeting, and that Police were called to the meeting to control protesters. Denying the second, Stop the War say Syrians were not prevented from speaking at the meeting, and claim that a Syrian activist “was given ample time at the meeting to make her case” at Stop the War’s meeting. Not so. Stop the War did allow the Syria Solidarity activist to speak in the meeting, but only when other members of the audience called for her to be heard. She was the only Syrian allowed to speak, she was interrupted, and for the rest of the meeting all other Syrians were deliberately ignored by the Chair, Diane Abbott, even when other speakers Catherine West MP and Caroline Lucas MP said they wanted to hear from Syrians. Caroline Lucas has since said she wrote to Stop the War about the way the meeting was conducted. Asad is the cause of the suffering of millions of people, he is a war criminal, a dictator and as long as he remains in power Syria will never be free of ISIS, Muslim extremists, and will never have true democracy. Do you want to stop the millions of Syrian refugees coming to the Europe, the UK, Canada, and the U.S.? Do you want to end the suffering of children, starved humans? Get Asad, Iran, and Russia out of Syria. The Syrian people will not put up with Al-Nusrah front or ISIS, they will get rid of them for us.